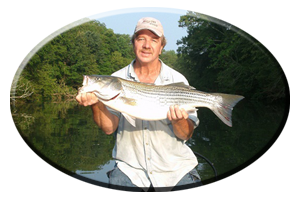 I grew up fishing Bankhead Lake, better known locally as just, “The Warrior.” And what a “Warrior” it is, to survive in such an unforgiving world, just like many Warriors before. I started out fishing, long ago, renting an old wooden boat at Lost Creek. Now, some 30 plus years later, I still visit that exact same Lilly pad, infested pocket, near the mouth of Lost Creek. 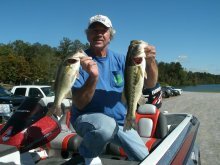 It still holds bass and casting a frog imitation, spinnerbait and buzzbaits still works, just like it did back then. In the mouth of Lost Creek is a huge log jam. Its been there as long as I can remember. Back then, casting a beetle spin, rooster tail, or rapala, always fooled a few anxious largemouth bass. Even topwaters of that time, jitterbugs, pop-R’s and hula poppers, are still manufactured today, and continue to fool the huge bass scattered along this one mile plus, log jam. Lining the banks in this area, are various weed types, washed in debris, brush piles, laying trees and logs. All refuge for the mighty Warrior, “the largemouth bass.” Some 10 pounders do exist in this impounded river and this is one spot many are fooled each summer season. As you head downstream, from the mouth of Lost Creek, you encounter several grass filled pockets, many small islands abound with wood cover, and a series of rock bluffs in every river bend. Here is variety. 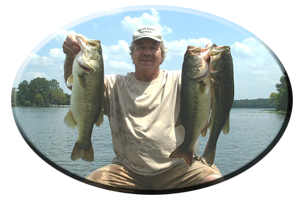 Just like many years ago you can target the weedy banks and pockets and fish a snagless sally (still in production) an in-line spinner, a frog or rat imitation, or just like years ago, a prop bait such as a baby torpedo. The rock bluffs have first and secondary ledges, small pockets, points and a series of creeks, cuts and pockets, that all intermingle with the bluffs. Here, just like years ago, you can throw a plain old 6 inch worm (but you may have trouble finding a two hook model worm with small propellar on the front) rigged Texas style and still catch quality bass. Added to the old reliable worm arsenal are today’s jig combos, tube baits, crayfish imitations and of course bigger, 8-10 inch model worms and lizards, fished with oversized hooks. These bottom bumping lures can be fished right up against the face of the rock bluff wall, day or night. 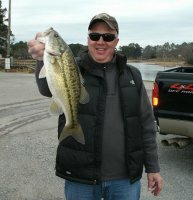 But today’s anglers probe just a little deeper than anglers of long ago, that just targeted the banks. The first drop-off on these bluffs and adjoining creek mouths is usually around 10 feet deep. Often, this is as deep as you need to go, to find summertime bass hanging along the current breaks found here. 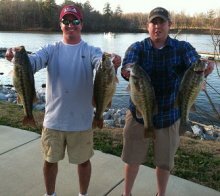 But during the heat of the day, bass can be found either suspended deeper or on the bottom in water 10-20 feet deep along a secondary ledge, river or creek channel drop-off or irregular bottom feature found here. 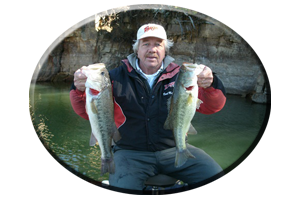 Broken off bluff banks, with huge boulders or slab rocks washed into the river channel, are excellent spots for huge schools of bass to gather in during summer. 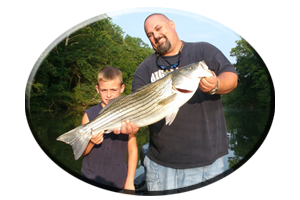 Remember, a guided fishing trip with Reeds Guide Service makes a great surprise gift for Birthday’s, Father’s Day, or Christmas (certificates available) or any occasion, for those loved ones that love to fish! Call (205) 663-1504 for reservations. 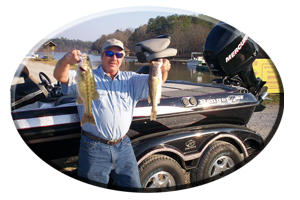 Several boats and qualified professional guides available year round, for multiple parties and corporate guided fishing trips to any lake in Alabama.